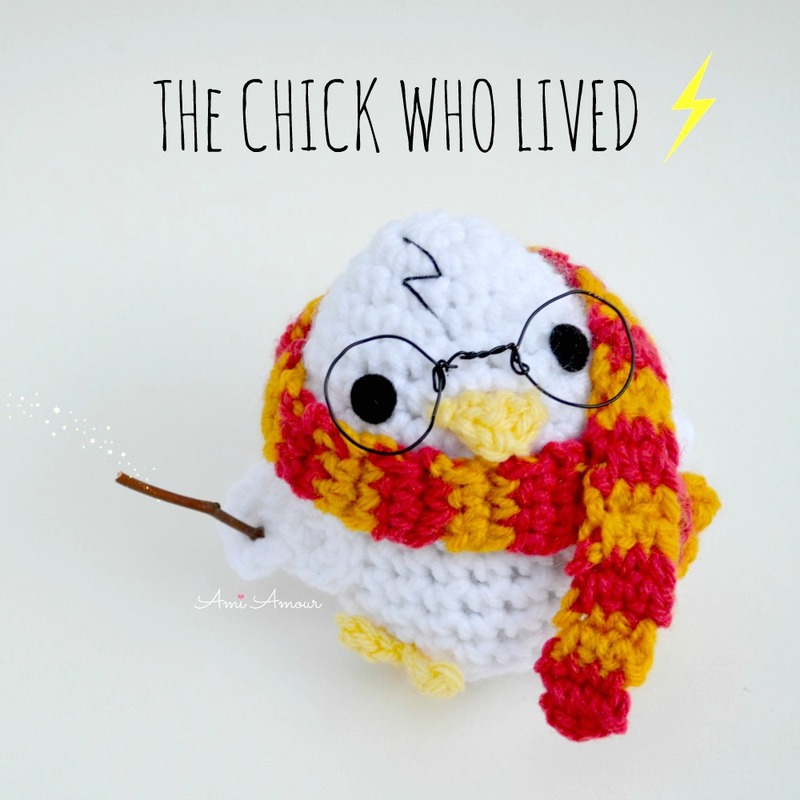 Here’s my latest project, a Harry Potter amigurumi pattern, “The Chick Who Lived,” cheekily inspired by J.K. Rowling’s magical series. 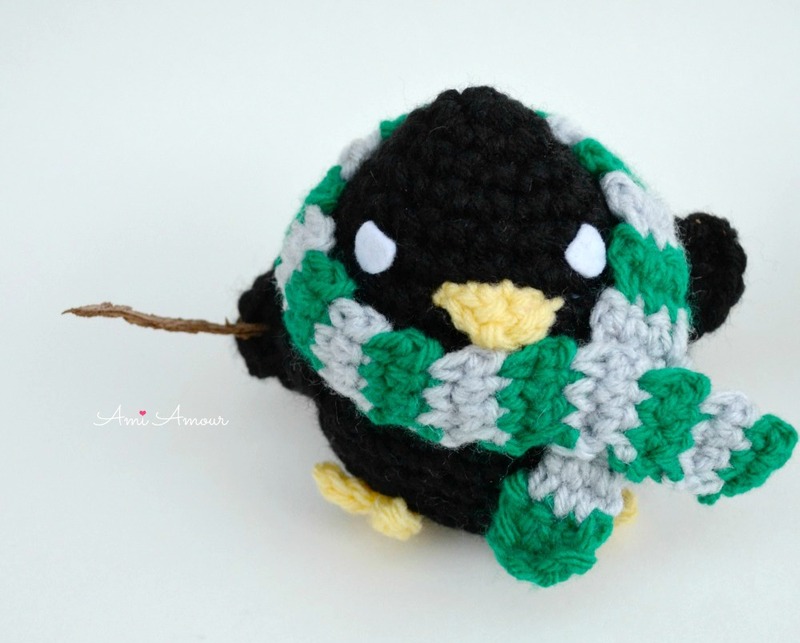 I transformed my Eggy chick amigurumi into a Wizarding Chick, complete with a lightning scar, round spectacles, a house scarf, and a twig wand. He is ready to be accepted into Chickwarts School of Chickcraft and Wizardry! Here, any Chick can learn how to fly, how to cast a spell to catch the early worm, and how to read the future by the leaves in the water fountain. Now of course any hero would not be complete without a rival. Although he is still a bird, he has characteristics a bit more common with snakes! He always likes to try and pick a fight. They are joined with more of their classmates, all wearing their house scarves. So as you can see I had quite the fun creating this flock of birds. 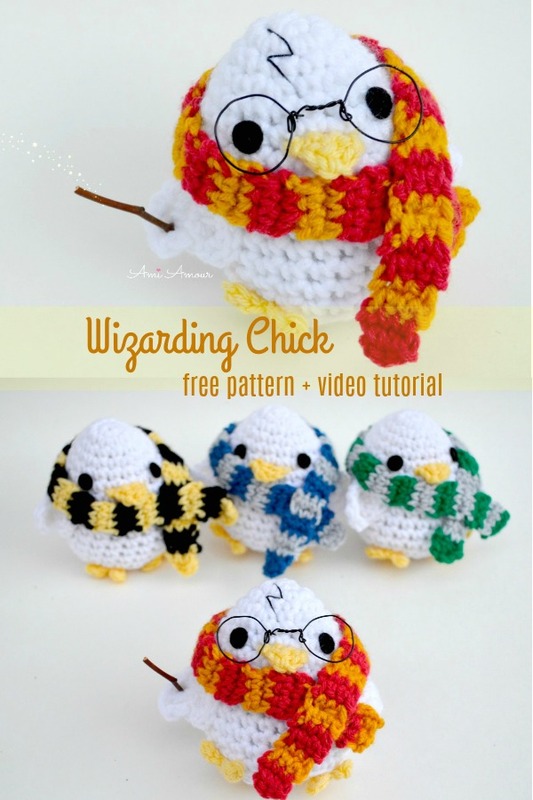 It’s quite easy to transform your chick as well into a Wizarding Chick! I’ve written up the instructions and pattern for House Scarf below. *Disclosure: This post contains affiliate links. This means I may receive a small commission if you decide to purchase anything by clicking on one of these links. There is no extra cost to you and it helps me keep creating free content and patterns for you guys on this blog. Thank you for your support! 1. 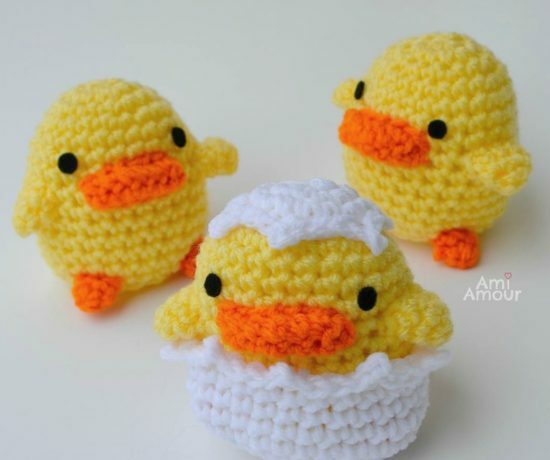 First for the Base of the Chick you’ll need to create Eggy the Spring Chick, which is available as a free crochet pattern on my blog. 2. Next you’ll create a House Scarf. 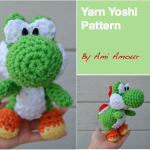 For this pattern, I recommend doing tapestry crochet and carrying your yarn as you go. 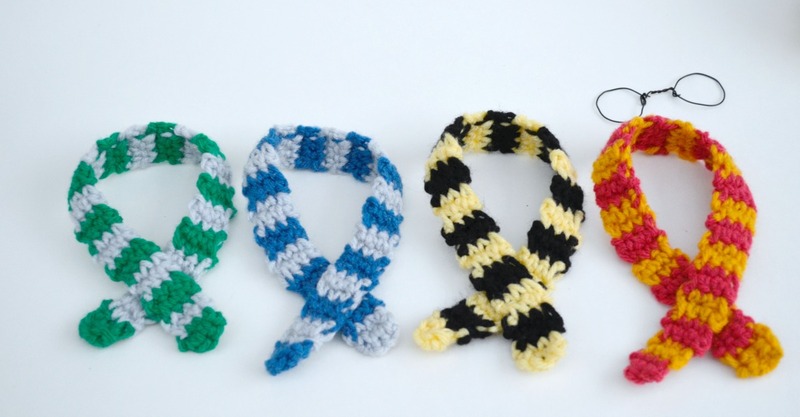 This way you won’t have to weave in so many ends from all the color changes. 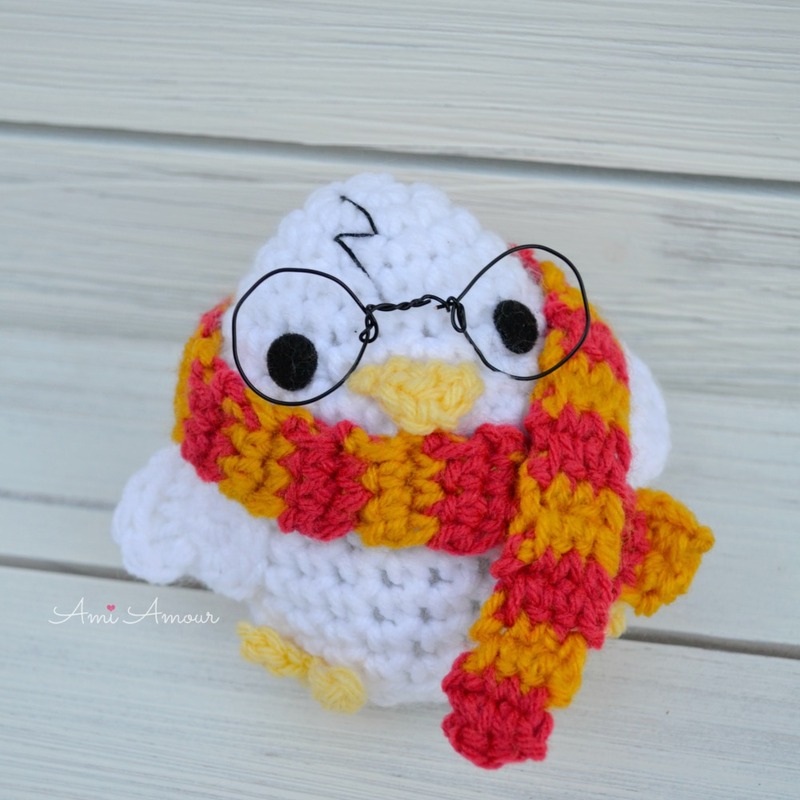 I have a video tutorial below that goes into detail how to do tapestry crochet for the scarf as well as walking you through the whole process of transforming your chick into a great wizard. Row 1: With 1st color, Ch 4, sc in next 3 ch across – 3 sc. Row 2: Ch 1, turn, sc in next 3 st across – 3 sc. Row 3: With 2nd color, ch 1, turn, sc in next 3 st across – 3 sc. Row 4: Ch 1, turn, sc in next 3 st across. Repeat Rows 1-4 twelve times to create 24 rectangles or stripes in total. Assembly: Cross over the scarf and sew down. Hide all ends. 3. 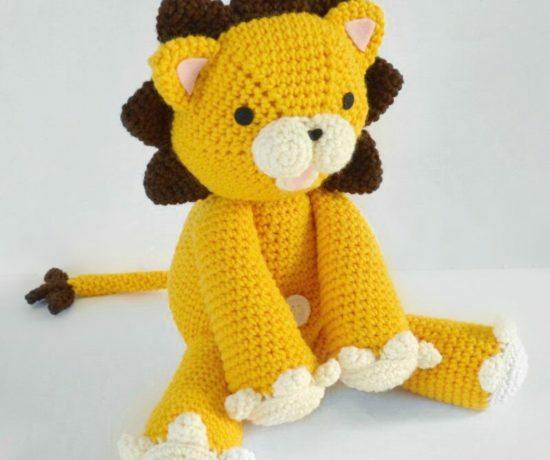 Embroider the lightning scar on top of the head with crochet thread, size 10. 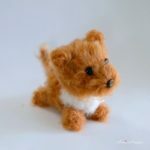 If you prefer, you can also use embroidery floss, or you can use black worsted weight acrylic yarn, but be sure to separate the yarn into threads that are thin. 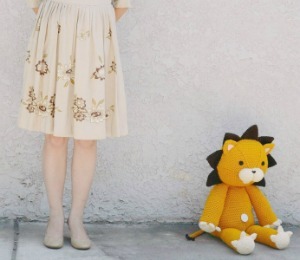 Leave a long tail so that you can use it to sew the glasses down to the face if you want. 4. Use black 20 gauge wire to make the spectacles. 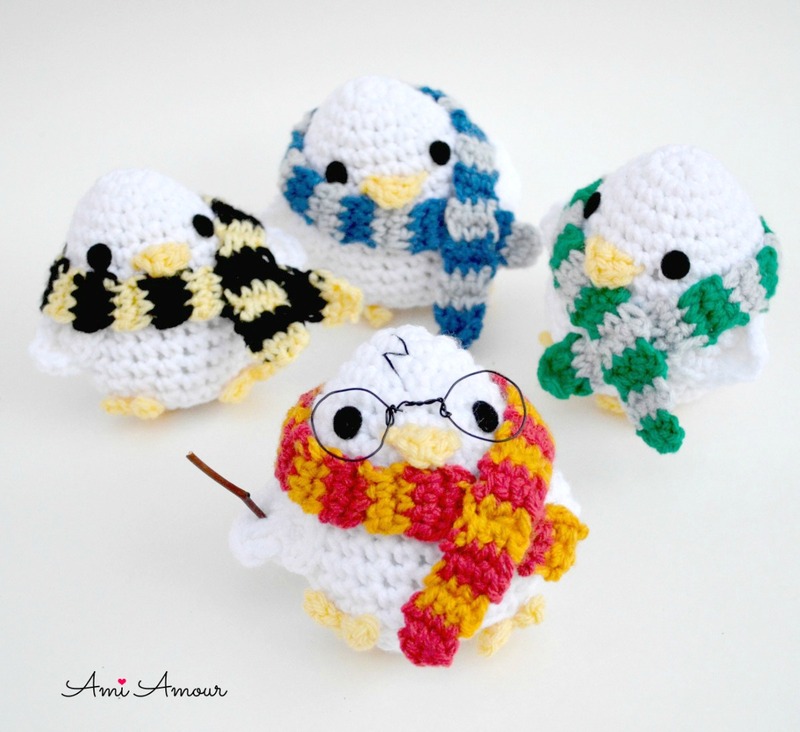 I’ve linked below to a great youtube video by cyarnhut that shows you how to easily create the round glasses for your amigurumi. 5. Find a small dry twig to function as your wizard chick’s wand. Ouila, transformation is complete! 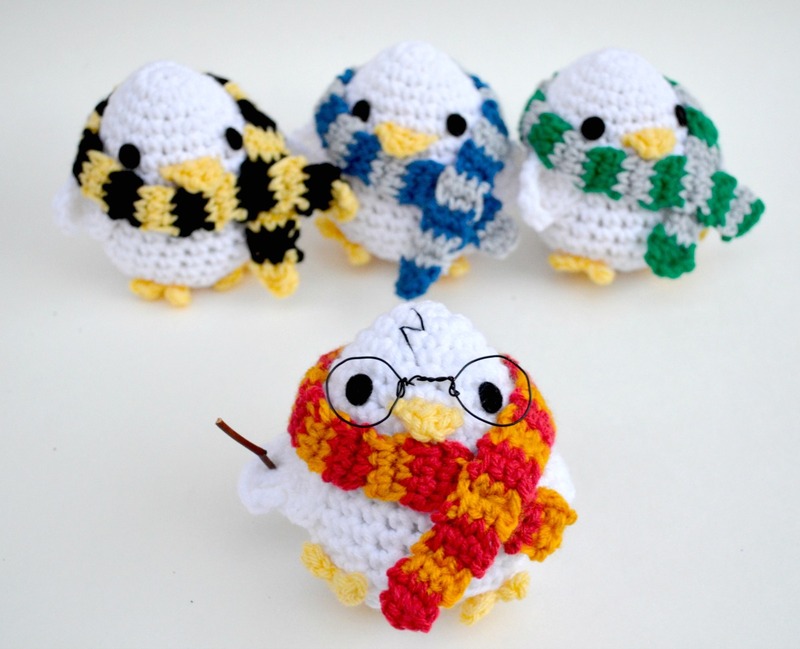 Create all the different house scarves so that you have a flock of Wizarding Chicks to populate your Wizarding School! 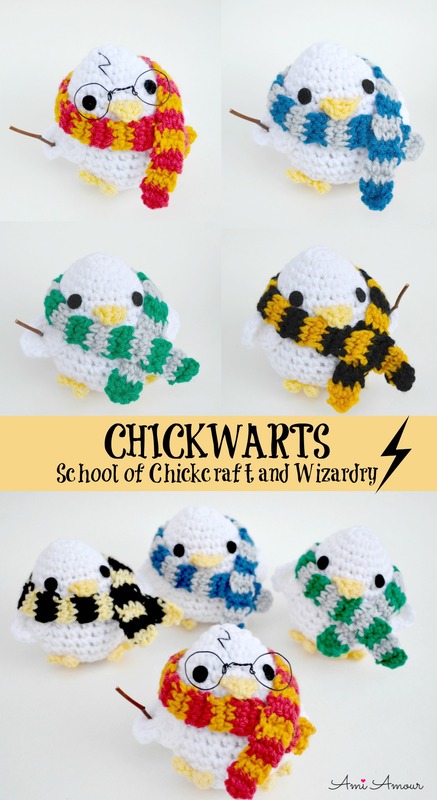 I’d love to see how you get creative with your Wizarding Chicks! Please do tag me with your projects that you make. You can find me on Instagram and Facebook. 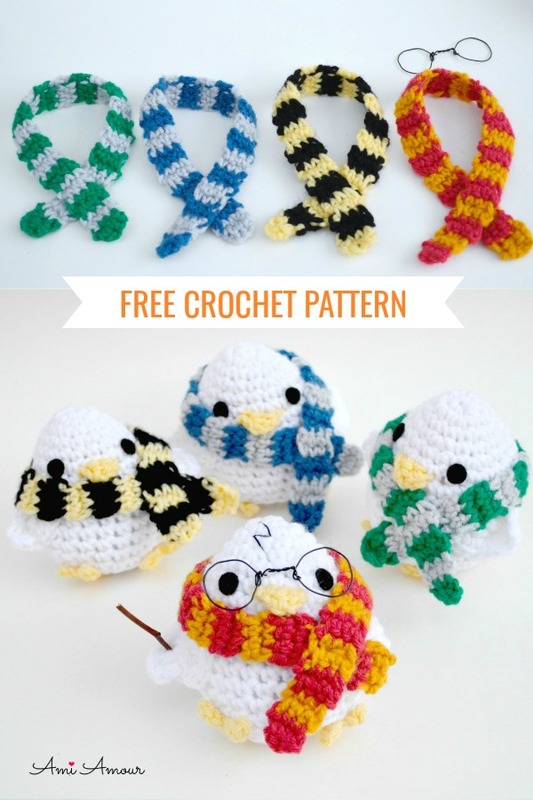 Get the latest FREE patterns, posts and news! 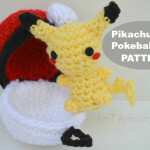 I would like to personally congratulate you as your channel Ami Amour has been selected by our panelist as one of the Top 20 Amigurumi Youtube Channels on the web. I personally give you a high-five and want to thank you for your contribution to this world. 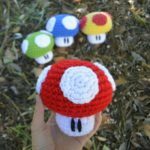 This is the most comprehensive list of Top 20 Amigurumi Youtube Channels on the internet and I’m honored to have you as part of this! 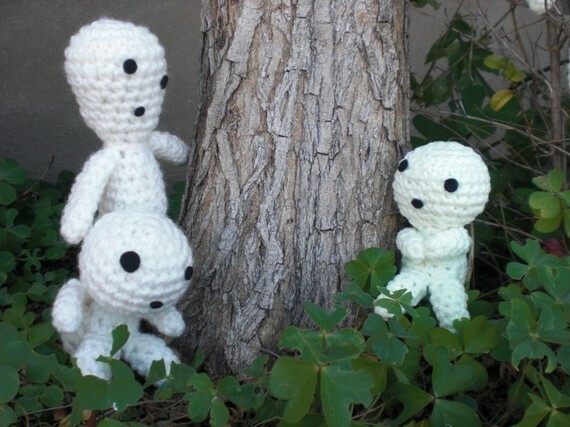 If you have a website or a blog, we’d be grateful if you can help us spread the word by briefly mentioning about the Top 20 Amigurumi Youtube Channels list in any of your upcoming post.